Orion Management Solutions started in the business of golf management with one goal – provide quality management practices without the cookie cutter approach of other National companies. At Orion we strive to understand what the owner’s goals are – and then work diligently to achieve those goals. Designed in 1934 by legendary architect A.W. Tillinghast, Swope Memorial Golf Course was once the home of the PGA Tour's Kansas City Open (1949), making it the only public course in the area to have hosted a PGA Tour event. Carved out of the wooded land in Swope Park, this tight layout, along with its undulated fairways and multi-tiered greens, provides a true test of golf; one that legends Ben Hogan and Sam Snead have been challenged by. Skyline views of downtown, accompanied by the roars of lions from the K.C. Zoo below, give this course character that is unmatched anywhere in the city. Come out and experience what people consider the best value in K.C.! Minor Park was established in 1966. 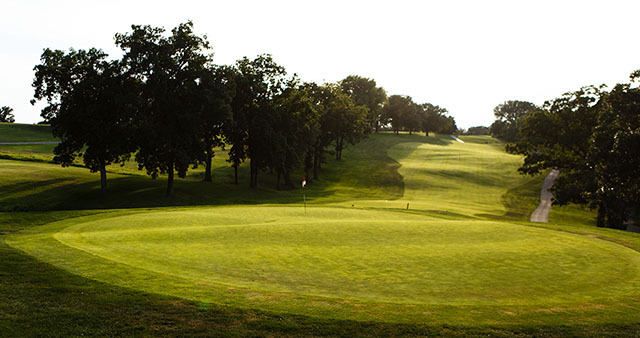 This classic 18 hole municipal golf course is known throughout Kansas City for it's playability. The layout is fun and easy to walk for players of all ages and skill levels. Many golfers remember it as the "the first golf course they ever played". Located in the heart of south Kansas City it is easy to access and affordable to play any day of the week. At 5700 yards it is a reasonable length for all players to manage, yet the greens are small and challenging offering enough difficulty for seasoned players as well. With zoysia fairways and bent grass greens the course is always in good condition. Welcome to Adams Pointe Golf Club. Just minutes from downtown Kansas City, this 18-hole Championship golf facility is set in the rolling hills of Blue Springs, Missouri. 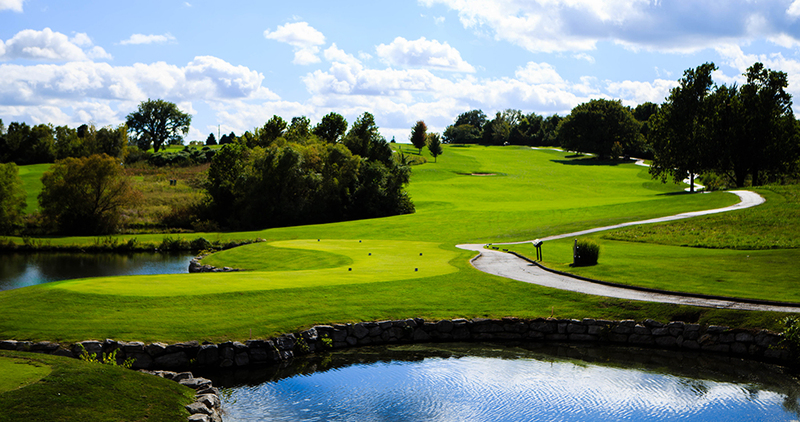 Designed by noted local architect, Don Sechrest, Adams Pointe is very highly regarded in the Kansas City golf community for its’ layout and superior conditions. The course has a challenging front nine skillfully carved out of forest and wetlands, with a scenic back nine that offers links-style golf with dramatic changes in elevation. Adams Pointe is definitely the talk of the town, and annually regarded as a "premier places to play" in all of Kansas City golf. Above and beyond our superior course conditions and friendly staff, you are sure to enjoy our in-cart GPS system! 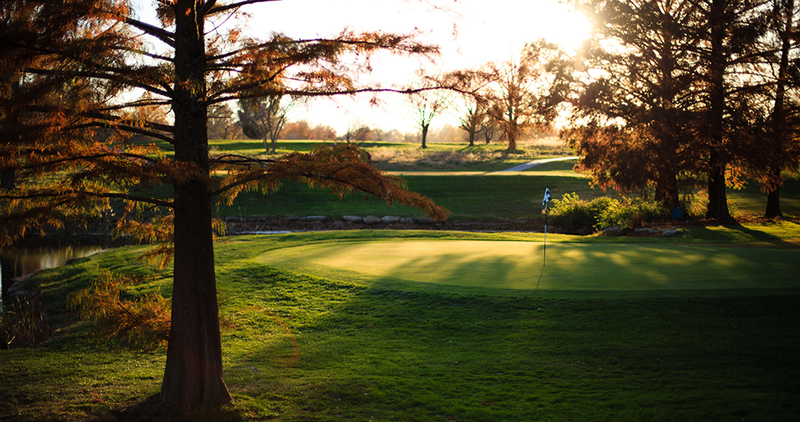 The Heart of America Golf Course offers two challenging nine-hole golf layouts in Swope Park, one of the largest urban parks in the country. The old nine-hole golf course is a par 35 and measures 2,604 yards with very tight target areas. The new nine-hole course was designed by Richard Allen, a landscape architect in the Parks and Recreation Department's Planning Services Division. It is a par 27 course and measures 1,200 yards. The course has several new features. Golfers on Hole Two will tee off across a water feature; on Hole Six they will face a green carved out of the hillside. At hole eight, golfers must hit off a cliff face down to the green. Heart of America also is a host site for the First Tee, a nationally recognized Junior Golf Program. The bentgrass fairways and greens – first to turn emerald in the spring, last to lose their lush beauty in the fall – are just the beginning. Sycamore Ridge is like two superb golf courses in one. The gently rolling, links-style front nine leads you to the steep, wooded hillsides, valleys and streams of the back nine. 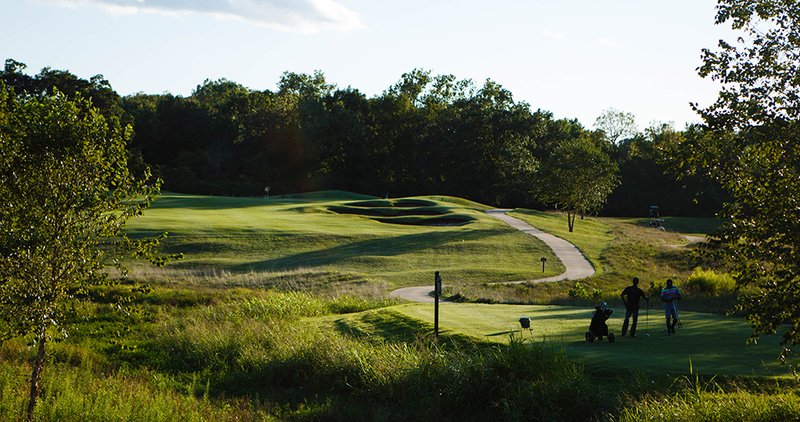 The full experience challenges your skills even as it calms your spirit.It's no wonder Golf Digest names Sycamore Ridge the number-one course in Kansas City year after year and Zagat has added the course to its list of the finest in the United States. Sycamore Ridge is golf at its very best. Rated among the top public golf courses in the Dallas – Ft. Worth Metroplex, Indian Creek Golf Club offers 36 holes of championship golf. 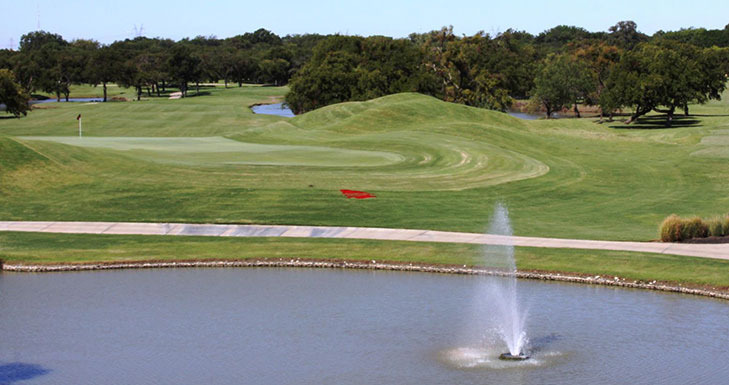 The two distinctly different 18-hole courses are situated along the Trinity River in the northern Dallas suburb of Carrollton. 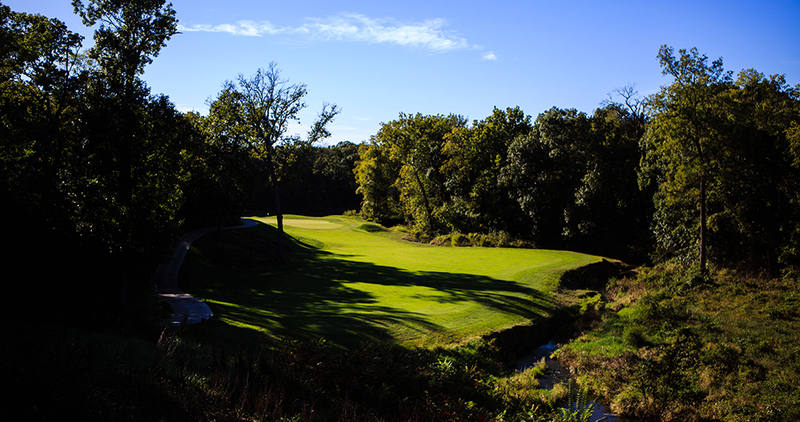 The Creek Course takes full advantage of its lush surrounding and thousands of mature trees. Generous fairways, steep-faced bunkers and large undulating greens are showcased on this 7,235-yard par 72 beauty that is ranked among the Top 10 Best Golf Courses according to Golf Digest and Avid Golfer.